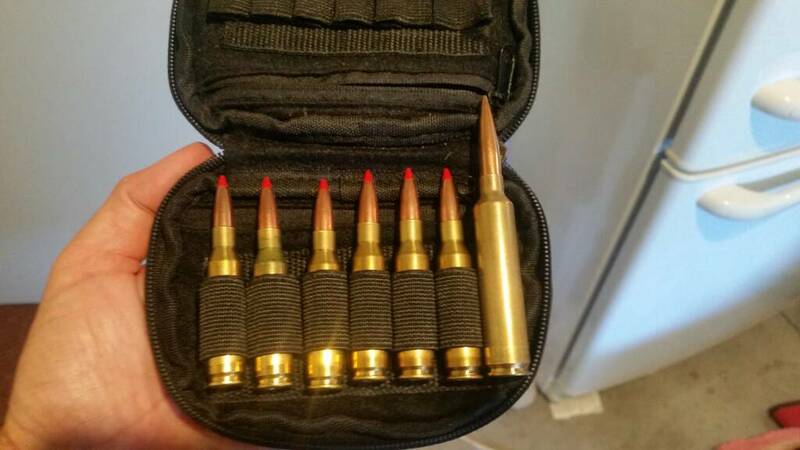 Going to need a new ammo pouch? Thread: Going to need a new ammo pouch? What's everyone using to take their Larger sized ammo (RUM/Nosler etc) into the hills? wsm junkie, Dreamer, Beaker and 2 others like this. Why go into the hills, somethig hat big you just shoot them off the back porch..... 3 in the mag isn't enough? GWH and mikee like this. once you lob in that shell just jump in your attack helicopter and go pick up what ever is left. Gibo, Marty Henry and Sideshow like this. Thanks for the help Dunc, I found a source for the one you have. How many does the mag hold? None unless I put a wyatt extended box in it, which I am. Two I think, it's not built yet, not all the components are in the once place yet. So what's the difference between a 338 Lapua and the 338 edge? All times are GMT +13. The time now is 08:57 PM.